The market has been a bloodbath over the last few months, following an incredible, yet unsustainable, growth in the months before. HODLing has been tough going, and given the current market valuations, a lot of investors have given up and taken their losses. It is composed of several key disciplines that will help you keep your profits and maintain a strong portfolio by removing inherent human psychological weaknesses. I’m not claiming to have the golden goose of cryptocurrency investing, but these strategic elements will certainly help in making the most out of what some see as a catastrophic cryptocurrency bear run – and what others see as an opportunity. I’m in it for the long term and I don’t focus on daytrading, ever. However (and it took me a while to understand this), HODLing isn’t always the best way to fly either. Yes, the market is still in its infancy, and the new Googles and Facebooks may already be listed on Coinmarketcap and perhaps even in your portfolio. But your portfolio can be worth much more with a measured strategy, instead of passively HODLing. And let’s be honest, at least half of your motivation to buy crypto is to make a lot money. First and foremost, I’ve only invested an amount that I can live without – so no matter what happens, I won’t need to sell my crypto to sustain myself – and so should you. Having a safety net to fall back on will also prevent you from letting your emotions get the best of you, something that can become financially lethal. Another important premise is that you only invest in a project you know everything about. What problem is it solving? What industry is it targeting? Who is behind the project? Without the certainty of this knowledge, you’ll likely lose a lot of money. My strategy focuses on the big market moves and big moves of individual coins. It’s a long-term strategy with options for mid-term action. It has been built with the strong conviction that cryptocurrencies and blockchain are unstoppable forces that will become household names and be used by the masses over the coming years. With this strategy, I’ve been trying to build a systematic approach to buying low and selling high that will continuously increase the value of my portfolio. 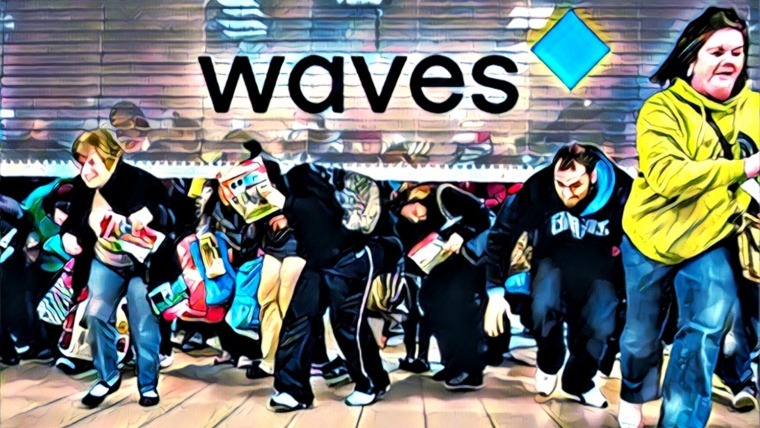 It rides the big waves of the crypto market in a relaxed way. Don’t try to predict anything, but just go with the flow. Also, don’t sweat the small movements. The market is incredibly volatile, and the sooner you accept this and learn to ignore it, the better. The biggest risk when investing and trading is you: your emotions, biases, and beliefs. This strategy tries to remove the “you” as much as possible from the equation. This article accurately depicts the biases and shortcomings we all have. 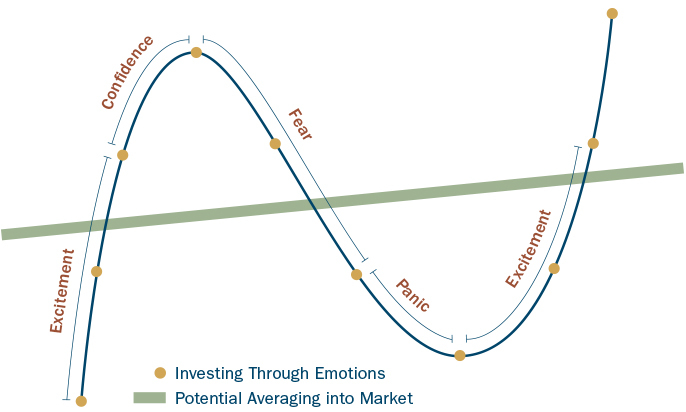 The markets are not rational; almost everyone lets their emotions (such as FOMO and panic-selling) get the best of them. In the end, big money will always beat you if you don’t come to terms with these cold hard truths. Moreover, people tend to become emotionally attached to specific coins and beliefs. You shouldn’t “believe” in a coin or in a market movement. I’ve read so many times that people are convinced something will go up because it has to, right? The market is just acting weird – it will understand that this or that crypto or the whole space is undervalued. The market is just wrong. Truth be told, the market does what it does, without any sympathy for how you feel about something. Is the whitepaper clear and concise? How does the project work technically? Is it actually solving a problem? What industry does the project target? We’ve previously written two articles which can help you identify new investments. In this article, we described the winning factors of (new) cryptocurrency projects. In this article, we described trends in the crypto space for 2018. If you don’t understand the technology, industry, or purpose of a coin or token, stay out of it. Some dude on a Telegram channel shilling the hell out of a coin should never be able to convince you to buy it. All such social media mentions can only be used as a beginning point of research, never as a reason to buy. Coins can absolutely go to zero. Stay away from these by thoroughly researching everything you buy into. Diversification is of the utmost importance when investing in the crypto space. A well-balanced portfolio mitigates your risk, but it also limits your total gains. When you want to play it all-or-nothing, going with only one small cryptocurrency can make you rich, but the chances are bigger that you’ll have to sell at a loss or even lose it all. This is especially true given the number of new cryptocurrencies that have entered the market. There is no industry that is targeted by only one cryptocurrency, and even if you manage to find such an industry, new players will likely surface. IOTA was the crypto that didn’t use blockchain; now there’s Nano, Circle, and Hashgraph. 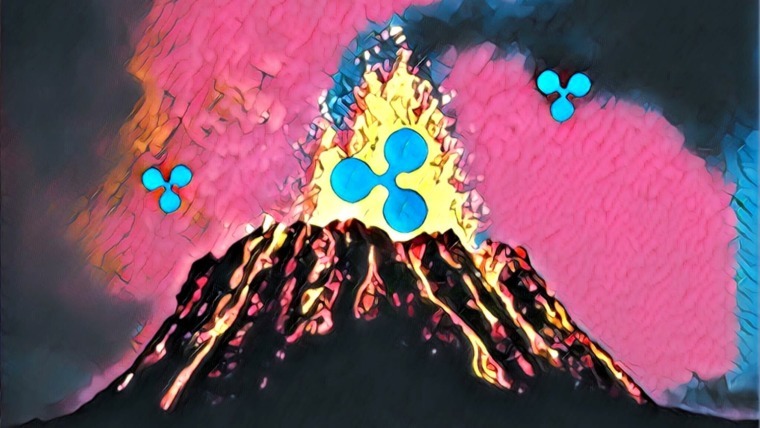 Ripple was the crypto for banks; now there’s Stellar slowly eating away at Ripple’s first mover advantage. There are two ways to balance your portfolio. You can create a balance based on several individual cryptocurrencies or you can balance your portfolio based on the types of cryptocurrencies. I’m actually doing both. I first created a balance based on the types of cryptocurrencies, then I created another balance of the cryptocurrencies within each of the types of cryptocurrencies. ICOs can fall in any of the above mentioned categories. These coins are used for the transaction of value. Bitcoin is the most prevalent example of this, but there are many other coins providing the same service with different features. Examples of these are Litecoin, Dash, Monero, Zcash, and many more. Honestly, almost all of my portfolio in this crypto category is in Bitcoin. I don’t really believe in a new financial system of numerous digital currencies with cross-exchange rates simply because Bitcoin is an open-source protocol on which numerous layered solutions can be built. Even though other transaction coins will definitely grow in value in the next few years, I think that Bitcoin will remain the dominant currency in this segment. While others may be faster, less centralized, or more private, Bitcoin’s incredible first mover advantage and allowance for upgrades makes me continue to place my faith in the reigning monarch of cryptocurrencies. These are cryptocurrencies bound to blockchains that allow for the creation of applications on them, such as Ethereum, NEO, Cardano, Lisk, VeChainThor, and many more. 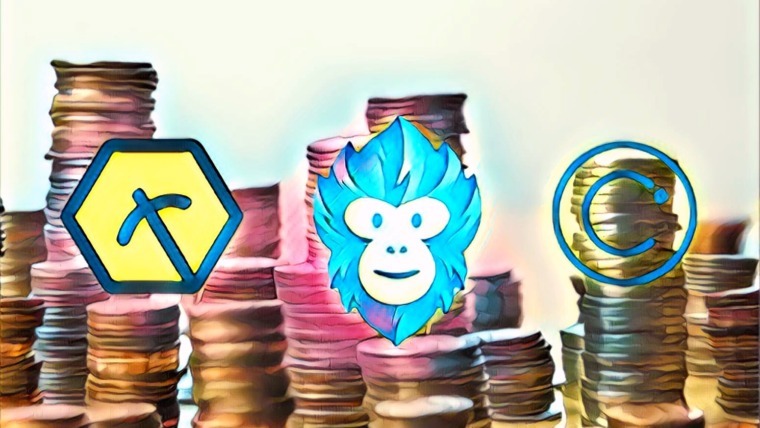 The underlying platforms of these coins create an actual need – and thus a demand – for the coins, as they are needed to make use of the applications and buy into ICOs. In my opinion, these coins are currently the safest and have the largest growth potential, as the blockchains they are built on have the capacity to become the foundation of the decentralized world. We have no idea which of these platforms will actually become the “global supercomputer,” so I’ve been diversifying my investments over multiple platform coins. Moreover, the regulatory risk is less with these coins, as they actually give access to practical services instead of trying to disrupt the regulatory monopoly on money. 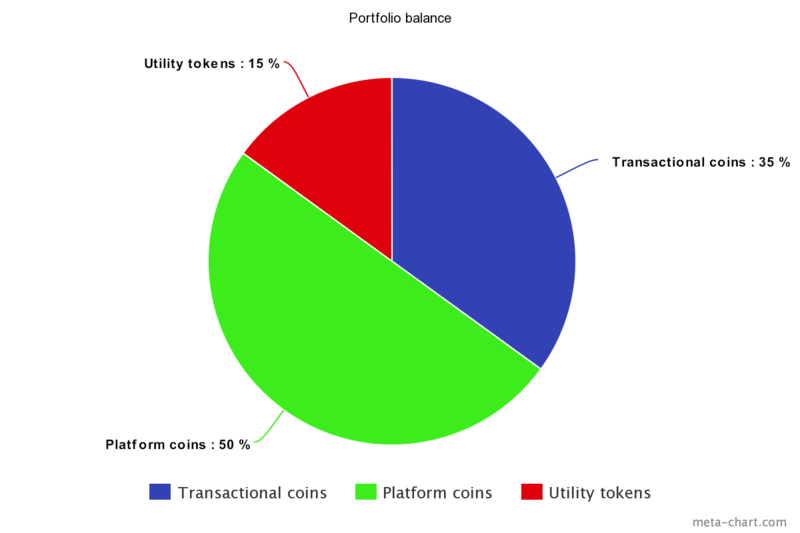 These are tokens built on one of the above mentioned platforms. They give access to a specific blockchain application, and are designed for a specific task. Utility tokens are not really my cup of tea yet, as they’re extremely risky due to two things. It’s still too early for mass adoption of these utilities because the technology is not ready yet (Ethereum’s scalability issues, for example), and because we don’t know what platforms will actually become the blockchain backbone of the digital world. If the underlying blockchain won’t be the one to be used, the application is definitely doomed. If, for example, Ethereum fails to scale, its applications will fail to deliver. I do believe that the utility tokens that will enter the mainstream will do so by creating a service that’s much better than anything we have right now. These will be the so-called “killer applications,” whose returns will be beyond imagination. High risk, high reward. These tokens don’t have an inherent use case but are issued by a company to raise funds. They don’t give access to a service, but allow users to participate in the growth of the value of the company through, for example, buybacks of the tokens by the issuing company. This is still a very grey area in terms of regulations, and there have been frantic discussions on what exactly differentiates security tokens from utility tokens. 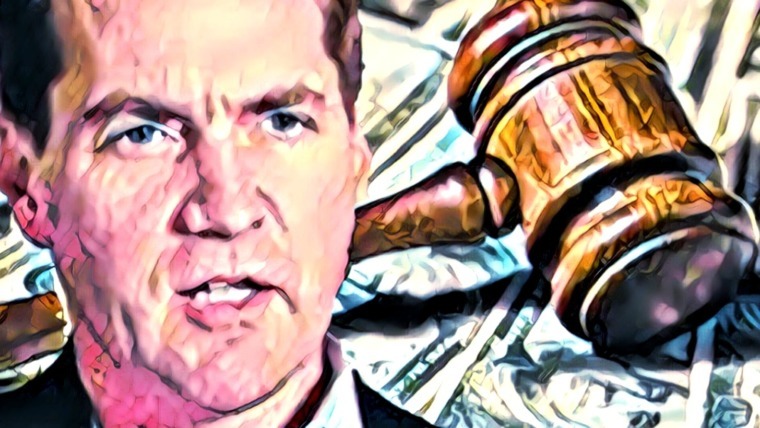 For me, security tokens are too risky at the moment – take, for example, the SEC’s recent witch hunt, during which it subpoenaed 80 cryptocurrency companies. However, the tokenized model of securities has the potential to severely disrupt current fundraising and shareholding models. 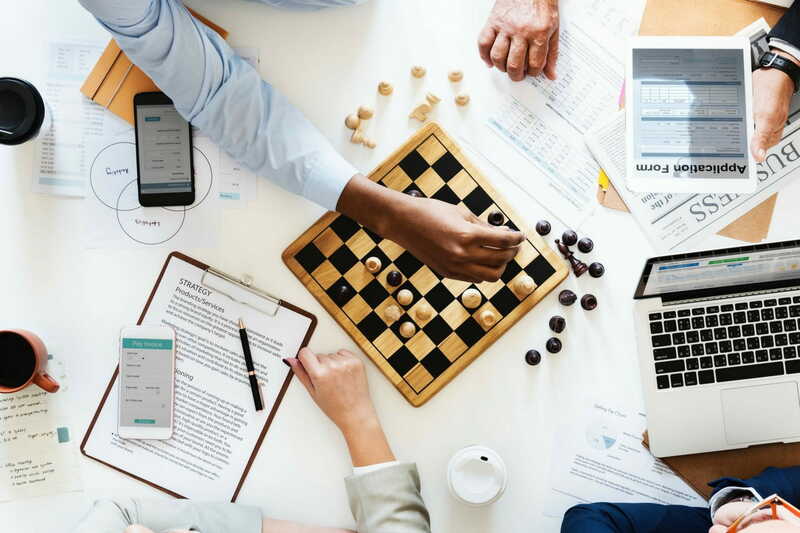 Once global regulatory bodies have created a clear regulatory framework to reduce their risk, investing in security tokens will become a highly attractive option. This type of cryptocurrency is on the rise. In this model, a cryptocurrency represents the value of an underlying asset such as gold, art, fiat currencies, etc. It represents a new, more accessible way to invest in assets other than cryptocurrencies, through cryptocurrencies. Stable coins provide an excellent way to take shelter from a corrective storm. I’m only interested in projects leveraging blockchain technology to create completely new business models and disrupting existing ones, but these cryptos are very interesting nonetheless. Taking all of the above into account, a portfolio balance based on the following division could look something like this. As a side note, this is just an example, and you should always create your own portfolio based on your own research or with the help of a professional advisor. And within these different categories, a balance could look like this. Whenever I buy a new coin or buy into an ICO, I classify it into its type. Then I sell some of the other coins within this type, so I have room to buy the new coin. This is so that I keep my larger perspective on which (in my opinion) cryptocurrencies have the biggest chance of succeeding. A word of advice: the market is risky and speculative enough as it is, and the top cryptocurrencies still have incredible potential for profits as well. Do yourself a favor and stick, for the most part, to the bigger and more established cryptocurrencies. Once you have done all your research and established your portfolio balances, it’s time to add some more elements to your strategy. These elements ensure consistency and promote discipline, something that is of utmost importance for any strategy. Consistent discipline removes your emotions from the strategy and creates the biggest upside potential. Nothing goes up forever. Pick a day in the week on which you evaluate your portfolio. I do this every Wednesday, because the market typically slumps a bit over the weekend. Use a solid portfolio tracker. My personal favorite is Altpocket. You can use this to keep track of your portfolio balances. Create a dollar cost averaging schedule. This schedule decides the total amount of investment you want to commit to and the length of the period during which you want to invest this amount. Decide on a profit-taking strategy. When will you take profits? And how much will you sell? I’ve divided my holdings into low risk (Bitcoin), medium risk (platform), and high risk (utility). For every category, you decide on a profit/sell schedule. This can be: when a high-risk investment rises 20%, you sell 5%, or if you want to take more risk, when it rises 50% you sell 10%. Be realistic and commit yourself to your created schedule. To buy a crypto or multiple cryptos for the best average price, dollar cost averaging is the best way to go. In a previous article, I fully describe this method. Dollar cost averaging is used to gain the average best price for an investment, and it removes all emotions from the equation. You ignore market sentiment, price fluctuations, and your own beliefs by setting up a buying schedule. This schedule comprises two elements: the frequency of buy-ins and the amount you’re investing during each buying round. Dollar cost averaging generally is most applicable to situations where you’re trying to mitigate your risk, you’re investing for the long term, and you believe that what you’re investing in will go up in the long term. It helps when a clear entry point is arbitrary, as is the case with cryptocurrencies, because then you can completely ignore the price. If you want, you can choose to buy in all at once. Understand that this can produce higher profits, but also comes with an equal amount of higher risk. Don’t buy in at market prices, though. Even though this is a convenient option, it usually knocks a few percentages off your value. I always set my buy order 3% below the current market price on exchanges. The market price is never the best price you can get at that moment on exchanges such as Binance, Bittrex, Kucoin and Poloniex. It might take a day before your order is filled if you set the limit price 3% below the market price, but in my experience, my orders have always been filled. When buying altcoins, I always keep an eye on Bitcoin’s value, and over time I’ve made some important observations with regard to this. There are almost never three green days in row, and when the market is in the red, Bitcoin tends to decline less then altcoins. Once this happens, your order will be filled and you’ll get your 3% discount, since the altcoin tends to drop harder than Bitcoin. I’ve added another element to the dollar cost averaging method, which I call relative dollar cost averaging. This strategy does go against the main purpose of dollar cost averaging, which is ignoring the price and sticking to a specified periodic budget, but it has been working great for me. I’ll have to add, it comes with a lot more work. Here’s how it works. You use exactly the same schedule as for regular dollar cost averaging, and you use the same periods and take the same investment portion as a base point. However, instead of completely ignoring the price, you use the relative change of price compared to the last buy-in period and apply this change to your preset recurring budget. Let me show you how this works. Week 1: No previous information, you use your budgeted amount ($100 a week) to buy in. Even though this method I’ve developed has been working quite nicely for me, I have to add that I’m not a professional financial advisor, so do not take this as investment advice. It is merely a method that I have found to work for me. Rebalancing is a classic portfolio management process. Through the rebalancing method, assets are bought and sold to maintain a predetermined portfolio balance. This technique prevents specific assets within a portfolio from becoming too important or from being ignored completely. If a cryptocurrency has mooned 400% while others have remained stagnant, this asset could become 20% of your entire portfolio, even though you initially decided it would only be 5%. If this happens, you can use your created portfolio pie charts or balances for rebalancing. First, sell a portion of those crypto holdings that have mooned and buy into cryptos that are a smaller part of your portfolio than you had initially planned. For example, did NEO explode over the last few weeks while IOTA has been on a decline? Sell some NEO and buy IOTA with it. To establish whether rebalancing is necessary, use the day in the week you determined (in my case, Wednesday) to assess your portfolio. One prerequisite of rebalancing is that the market should still be in an uptrend. When there are cracks appearing in the market after a big run up and media outlets are starting to spread FUD, it’s probably a good idea to start taking profits, which will be described in the following section. Use your predetermined portfolio balances for this. The above shown pie charts work very well, as they visually display your balance. When you use a proper crypto portfolio tracker, you can see how much of your portfolio specific cryptocurrencies take up. Compare this to your predetermined portfolio to see if anything has drastically changed. Again, and I can’t stress this enough, the fundamental ingredient of this entire strategy is doing your due diligence. Your portfolio must consist only of projects that you know by heart, are keeping regular track of, and remain confident in. If this is the case, rebalancing fits perfectly in your strategy. Even though rebalancing means a bit more work (there’s no portfolio tracker to my knowledge that does this yet), you can use this method to establish the relative presence of an overarching type of coin in your portfolio, like the financial transactions/protocol/utility coin distribution. Are utility tokens taking up a bigger and bigger part of your entire portfolio? Then it’s a good idea to identify why this is happening and consider selling some of the leading utility tokens to buy some more transaction or protocol coins. One of the hardest thing to do in investing, especially in the crazy crypto roller coaster, is take profits. Some investors think that taking profits is something dirty, and one of my main investment idols, Warren Buffet, never sells when he can help it. However, Buffet has hardly ever faced 400% gains and 70% drops within three months. I’m not saying that HODLing won’t make you great returns in the long run – in fact, I firmly believe it will. However, by taking profits when an asset’s price is high and buying again when it’s low, your HODL position only becomes worth more and more. That being said (and assuming you bought in absolutely convinced of the long-term perspective of your holdings), never sell all your holdings when taking profits. The previously described method of rebalancing is used during an uptrend. Profit taking is the step after, when the market has seen a long, steep uptrend, and the probability of the uptrend becoming unsustainable is increasing. When a coin has just skyrocketed by 300%, take profits. HODLing everything after such a major run-up is greed, nothing more. I’ve made this mistake more than once, thinking that it’s completely rational that since a coin’s value has gone up by that much, it will probably continue that way. It won’t. There will always be a correction. When you see a major run-up, like the one in December, it’s wise to start taking profits. How the hell can you buy the dip if you have nothing left to buy it with? The stop-loss option is an incredibly useful tool to protect your profits, and I highly recommend using it. Stop-losses are tools that automatically sell at, or slightly below, a set price. They help you remove yourself from the equation and prevent you from having to sit in front of your screen the entire day watching charts before deciding what to do. A stop-loss is triggered once the price of an asset hits your determined lowest price. When it’s triggered, the stop-loss will automatically sell for the next available price. For example, you bought Lisk at $14 and its value is $32 now. You want to realize your profits, but you’re not quite sure if the mania has cooled down yet. You set your stop-loss at $30 and go to bed. When you wake up, Lisk is at $27, but your stop-loss sold it just a little below $30. There is one risk involved with stop-losses because of this though, which is when a price drastically drops. This is because a stop-loss is automatically triggered once the price threshold is reached. It could be that the price plummets so hard that the stop-loss sells for a far lower price than you anticipated. This is because during a crash, a lot of people are selling but nobody’s buying, meaning the price can only be determined once anyone buys. Using the example above, if Lisk were to drop from $32 to $27 without anyone buying in between, your stop loss would sell at $27. Combining stop-losses with your profit/sell ratio is a very powerful combination that can secure profits and mitigate risk. This article fully describes stop losses and the types of this tool. For most experienced Bitcoin traders, gaining as much Bitcoin as possible is still the name of the game. We see this time and time again, mostly after a big altcoin run-up. An altcoin run-up usually causes a fall in the dominance of Bitcoin. Then, once the altcoin run-up seems to have peaked, traders start selling their altcoins for Bitcoin again, which causes its dominance to rise. In the past, there were many incidents in which the total market cap only dropped a little while altcoins suffered. This indicates that most people are selling their altcoins for Bitcoin, but are not leaving the market just yet. Bitcoin still is the king of crypto. It drags altcoins down hard when it drops, but, conversely, doesn’t necessarily cause altcoins to spike when it rises. Ultimately, you will have to decide whether your end game is to build as much Bitcoin holdings is possible by exchanging your altcoins, or whether you believe altcoins have a sustainable, profitable future too. I personally try to balance the two: I use my altcoin profits to slowly increase my Bitcoin holdings, but I also buy a cash position to buy the dips on my favorite altcoins. Taking profit in Bitcoin means that you sell your altcoins for Bitcoin, and in contrast to using the sum to buy other altcoins for rebalancing purposes, you keep the value in Bitcoin. This is a necessary precaution to protect yourself from a possible correction or crash. As the past 2 years have clearly indicated, Bitcoin tends to decline in value less than altcoins, and as such taking profits in Bitcoin shields your portfolio from market crashes better than any altcoin can. Do note that this will put your portfolio out of balance. But it’s prudent to do this as a measure of risk mitigation whenever your portfolio has been doing incredibly well. The market won’t go up forever, and you can rest assured that there will always be another correction. By taking profits in Bitcoin, you partly secure your profits while at the same time staying in the game lest you miss out on another leg of a bull run. Use the profit/sell ratio you determined in your strategy and stick to this. Don’t let greed convince you that this one will up another 100% after a 300% run up. When the rally upward seems to have come to a halt, you start to sell the profits converted to Bitcoin for cash. Don’t wait for this – do it as soon as cracks start to appear. That way, you’ll still have the bulk of your holdings in case the rally continues, but at the same time you want to buy the dip. It took me quite a long time to realize this, but cash is also a position. It’s the perfect hedge against market declines and allows you to buy in cheap. Contrary to what you might expect, cash is a another asset in your portfolio, without which you’re stuck and unable to buy any dip. Remember, this is a long-term strategy and you should only invest in projects in which you are highly confident. Never sell all or even half of your holdings – only do so when critical issues arise with the project. Create a balanced portfolio on the basis of large amounts of information from multiple sources. None of the projects, except for perhaps Bitcoin, have gone mainstream yet, and until then the crypto market will remain highly speculative. Moreover, the bigger blockchain projects still have massive upside potential, so try to stick with those as much as possible. Consistent discipline is key. Create a schedule for everything you do: weekly portfolio assessment, continuous research, buying in, portfolio balances, profit/sell strategies, using stop-losses, and taking profits. All things mentioned above are the elements of my personal strategy that I’ve created over the past months. How you’re going to implement them is entirely up to you; these are simply guidelines for a strategy that has been helping me a lot. It might not necessarily suit your goals and vision. I’m investing for the very long term, and even my short-term trades are done with the goal of increasing the value of my portfolio for the long term. I sincerely hope all this information will help you in playing the insane crypto game and building an incredibly valuable portfolio over the years to come! Great article. As someone that has been in the crypto space for about 7 months, this is where I’m pretty much at, although not as obsessive as I first started. The only questions I kind of have, is regarding taking profits for cash. The tax laws have kind of scared me off, and completely slowed down my trading. Do you think it is worth it to sell to cash, when you are going to be taxed heavily on it, reducing your actual gains? Do you go to actual cash or use something like tether? I’m nervous to use tether, since it means I have to keep large amounts of money on exchanges. I’ve kind of gone with the philosophy that if it doesn’t fit on my nano ledger, then I don’t hold it, barring a few exceptions. Which country are you located in? Because you do realise in most countries ANY trade is considered a taxable event. So even if you exchange from, let’s say ETH to BTC, that’s still a taxable event. 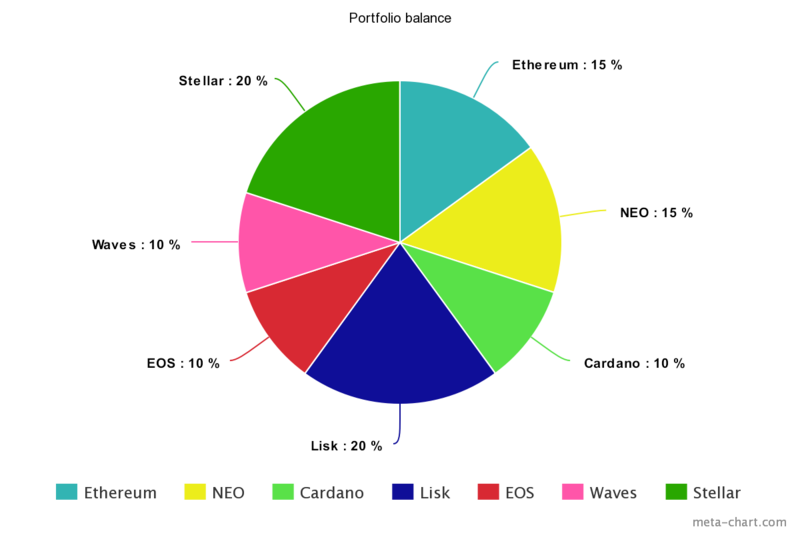 It doesn’t matter that you didn’t actually convert it to cash..
I’m confused, in your example pie chart, I see mostly platform coins. Is Stellar considered transactional? Is EOS considered utility since it is an ERC20 token? Wouldn’t Vechain be utility too then; in the article it was referred to as a platform coin. Otherwise fantastic article, very informing. I’ve literally dipped my toe in the water this week, and it’s good to see that I’m headed the right direction in spreading the investment over various alts, as well as Daddy BTC. I’ve had an even split until now, using tips from online articles as to where to invest, so will head off to your how to research article and see what I can find for myself and come up with a nice balance for the portfolio. Wow. Nice insights. I am new to crypto and I really learned a lot. I found this article helpful too. Stop-Losses … do you have them set all the time? + at -10% -20% -30% ? + assume you trail them up with rises? One of the best informations I’ve read regarding future of cryptocurrency investment. Thanks for writing this great article!